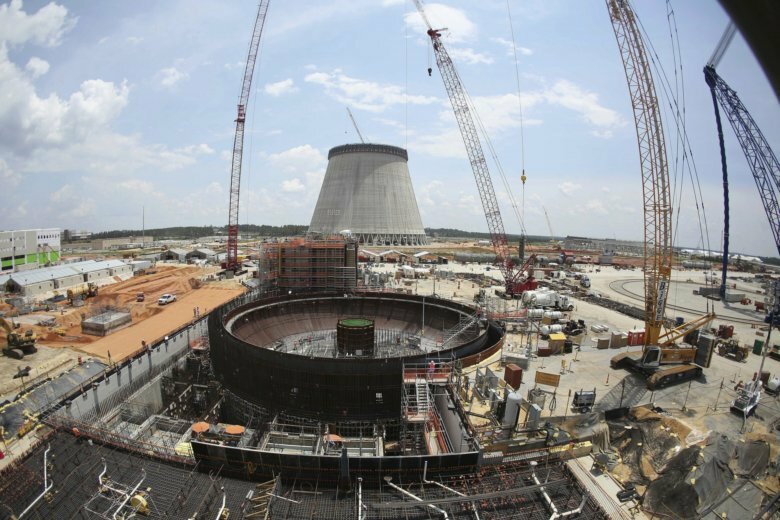 The nation’s only major nuclear power plant under construction appears to still be alive after the owners voted to push forward despite another multibillion-dollar cost overrun. But Oglethorpe Power says they’re only willing to move forward with the construction of two new reactors at the Vogtle nuclear power plant near Waynesboro, Georgia if cost-control measures are implemented. It is unclear how the other utilities that own a stake in the project will respond to the conditions. The Municipal Electric Authority of Georgia and Georgia Power, the other two primary owners of the project, had previously said they’re willing to move forward. The project is billions of dollars over budget and years behind schedule. A similar project in South Carolina died in July 2017 when the V.C. Summer plant was abandoned after going billions of dollars over budget. The board of a Georgia utility has voted to continue the expansion of a nuclear power plant that’s years behind schedule and billons of dollars over budget. The Municipal Electric Authority of Georgia’s board voted unanimously Monday to continue building two new reactors at the Vogtle nuclear power plant near Waynesboro. That leaves one co-owner, Oglethorpe Power, left to decide whether to move forward or abandon the project. A third owner, Georgia Power, already indicated it’s ready to push forward. The critical votes came after a new $2.3 billion cost increase was recognized, bringing the total estimated cost to $27 billion. That triggered a clause in the ownership agreement where 90 percent of ownership needs to agree to forward. A down vote from Oglethorpe Power could sink the project. Oglethorpe Power is expected to vote on it later this week. The utilities involved in a Georgia nuclear project are deciding whether to continue after a $2 billion cost increase. The owners building two new reactors at the Vogtle nuclear power plant near Waynesboro, Georgia are set to vote on whether to move forward or abandon the project. Oglethorpe Power and the Municipal Electric Authority of Georgia could vote as early as Monday. A down vote by either could mean the project estimated to cost $27 billion is abandoned. Another owner, Georgia Power, has indicated it is ready to continue after concluding that $2.3 billion in new cost overruns are expected, triggering the votes. The Department of Energy on Friday sent a letter to the owners saying it would seek repayment of billions in federal loans if the project is abandoned.